Sem Dominates ESC…Seven S9 Wrestlers Place Top 8! Wyoming Seminary made their Eastern States Classic debut in style! The prep school from northeastern PA crowned five champions and outscored runner-up Shenendehowa by 89 points. Quite simply, they were dominating. They brought 13 wrestlers to the tournament…12 of them placed in the top eight. No other team placed more than 5! Seven Section 9 wrestlers stepped on the podium led by Ethan Stanley’s third place finish. The Saugerties heavyweight’s only loss was 1-0 decision (illegal clasp) in the semifinals to eventual champion Michael Johnson of Wyoming Seminary. Other local wrestlers who placed were Gerard Daly (Minisink Valley, 6th @ 99), Michael Raccioppi (Minisink Valley, 7th @ 106), TJ Kreider (Cornwall, 8th @ 113), Bret Sauschuck (Port Jervis, 7th @ 145), Jesse Corcoran (Eldred/Fallsburg, 8th @ 220), and Seth Stauble (Kingston, 7th @ 285). Posted on January 15, 2012 January 15, 2012 Author Mike CareyCategories Eastern States ClassicTags eastern states classic, high school wrestling, section 9 wrestling, wrestling, wrestling tournamentsLeave a comment on Sem Dominates ESC…Seven S9 Wrestlers Place Top 8! Wyoming Seminary has quickly answered any and all questions about what kind of impact they would have at the Eastern States Wrestling Classic. After Day 1 of the 10th annual ESC, #8 ranked team in the nation has taken firm control of the team race by sending an astonishing 13 of 13 wrestlers into the quarter-final round….that’s right, not a single Sem wrestler has yet to lose a match! Quarter-finals are scheduled to begin at 9:00AM on Saturday. If you can’t be there in person, follow the action through updated brackets courtesy of Escape Sports. PAWRVideo will also be providing videos of select matches. Links to both are provided below. The day is finally upon us. The 10th Annual Eastern States Wrestling Classic is set to get underway at 10:40 this morning at SUNY Sullivan in Loch Sheldrake…580 wrestlers representing 101 schools covering 4 states! This tournament has rapidly grown in size and quality and is now considered one of the toughest high school wrestling tournaments in the country. For the second straight year it has earned the designation of being a FloMajor thus all winners receive an automatic birth to the prestigious FloNationals. 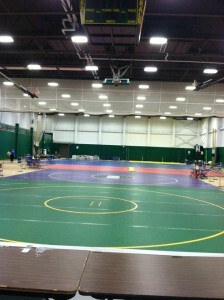 The mats are rolled out and we’re almost ready to go!!! Click on the link below for updated brackets throughout the tournament courtesy of Escape Sports. SectionIXWrestling.com will provide a Day 1 summary and will post quarter-final matchups at the completion of today’s wrestling. Here we go!!!!! Below are the seeds for this year’s Eastern States Wrestling Classic. The event, now in its 10th year, takes place this Friday and Saturday on the campus of SUNY Sullivan in Loch Sheldrake, NY. Brackets are not finalized until after Friday morning’s weigh-in. 1. Jose Rodrigues – Wantagh 1. Lucas Malmberg – Marathon 1. Mark Raghunandan – Long B. 8. Chris Aaroz – Wantagh 8. Noah Valastro – Hudson Falls 8. Jesse Holten – Wyoming Sem. 5. Mike Beckwith – Greene 5. Chris Loew – Wantagh 5. Conor Wasson – Wyoming Sem. The Eastern States Wrestling Classic has quickly become one of the toughest high school wrestling tournaments in the country. With the addition of several top-notch teams, including national powerhouse Wyoming Seminary, this year’s event will be tougher than ever! The two-day tournament has 101 teams entered and begins Friday, January 13 at 10:30AM at SUNY Sullivan in Loch Sheldrake. Below are a few links that will provide some helpful and interesting information about the 10th Annual Eastern States Wrestling Classic! SectionIXWrestling.com has decided to put together an Eastern States Classic All-Star Team from the first nine years of the tournament (2003 – 2011). This year’s weight class changes made it an ideal time to do this. The number of big-time, marquee-name wrestlers who did not make this “team” is astonishing! Please feel free to comment. Enjoy! Here is a list of all of the champions….make up your own team and submit it to us through comments! Shenedehowa dominates at U-E Duals; MW places 3rd! Section 2 wrestling powerhouse Shenendehowa absolutely dominated the competition en route to capturing the title at the U-E Duals this past weekend. Over the years, this tournament has developed the reputation of being the unofficial dual meet championship for New York State. Shenendehowa rolled over perennial state power Spencerport (Section 5) by a score of 47 to 22 to win the title. Section 9 was very well represented at U-E this year having Warwick, Monroe Woodbury, and Minisink Valley all entered in the tournament. Monroe Woodbury, currently ranked #7 in the state, made a strong case for cracking the top 5 for the next NYSSWA poll as the Crusaders finished in 3rd place. Monroe finished 3-1 for the tournament with their only loss coming to Shenendehowa. Vinny Vespa, Tom Murphy, and John Vandercliff all finished 4-0 for MW. Warwick, still battling through some illness and injury, managed to go 3-2 for the weekend and finished 6th. The Wildcats posted victories over Chenango Forks (Section 4), Long Beach (Section 8), and Sayville (Section 11). Warwick’s losses came to John Glenn (Section 11) and Brockport (Section 5) who finished 4th and 5th respectively. Minisink Valley received a very tough draw being pooled with eventual champion Shenendehowa and 5th place Brockport. The Warriors wrestled hard; however, they finished 1-4 for the tournament and failed to place. The biggest bright spot for Minisink came from their smallest wrestler. 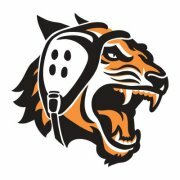 Minsink 99 pounder Gerard Daly finished the weekend 4-0 and posted convincing victories over a few state-ranked wrestlers. Against Shenendehowa, Daly pinned Kevin Parker in the third period. MW’s Vespa also pinned Parker later in the tournament. Daly’s most impressive match, however, was his dismantling of Steven Sewkumar from Long Beach. Sewkumar is considered by many to be one of the top two or three 99 pound wrestlers in the state. 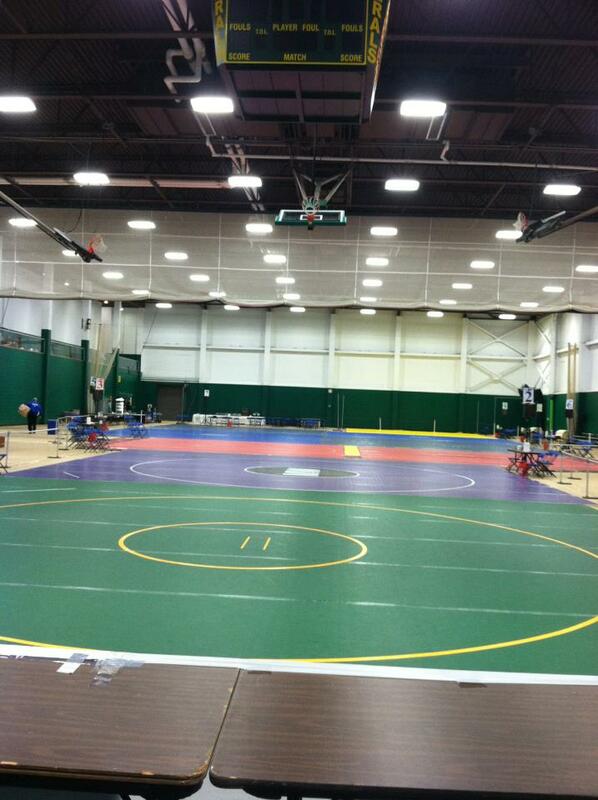 Overall, it was a great couple of days for Section 9 wrestling…. not only at UE, but at all of the weekend tournaments. 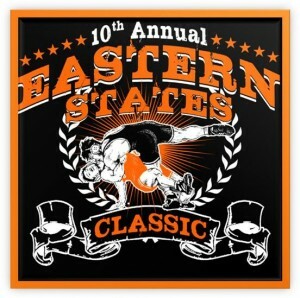 What better way to get ready for this coming weekend …The 10th Annual Eastern States Wrestling Classic!!! Posted on January 9, 2012 January 9, 2012 Author Mike CareyCategories UncategorizedTags high school wrestling, section 9 wrestling, U-E Duals, wrestling, wrestling tournaments1 Comment on Shenedehowa dominates at U-E Duals; MW places 3rd! Led by tournament MOW Ethan Stanley, Saugerties finished third of 14 teams at the Oneonta tournament on Saturday. After defeating a very tough Billy Holden from BGA in the second round, Stanley squared of with undefeated and state-ranked James Merritt from Owego in the finals. Stanley was thrown to his back and down 5-0 before staging a comeback and eventually pinning Merritt at the 2:26 mark of the second period. Biko Skalla(106),Chris Farrell(182), Keoni Nakapaahu(220) finished 2nd for Saugerties. Click here for all of Saugerties individual results. Aaron Barkstrom (126) and Ricky Treu (145) won individual titles as Red Hook placed second out of 12 teams at the Ravena tournament. Red Hook at Ravena Austin Weigel of Onteora also won the title at 160 pounds. Ian Morse (138) and Paul Sommer (152) earned first place honors as Rondout Valley finished seventh as a team at The 31st Stan Elinsky Tournament at Deposit. Also placing for Roundout Valley were John Hodes (2nd @ 120), Donavan Li (4th @220), Rudy Aguilar (4th @ 285), Eric Morse (5th @ 126), and Jonathan Nace (5th @ 113). Cornwall defeated host Middletown by a score of 37-34 to cap off a perfect weekend going 6-0 as a team and winning the team title at the 2012 Middie Duals. Check out the below links for team results as well as all individual results. Pine Bush’s Jordan Robles (132) and Chris Weston (152) both finished second in the extremely competitive Shoreline Classic Wrestling Tournament held in New Rochelle on Saturday. Also placing for Pine Bush were Johnny Stramiello (4th @ 106), AJ North (5th @ 99), and Patrick Sause (6th at 160).